When setting up e-mail on POPP’s network, please verify that all e-mail users have the correct settings. 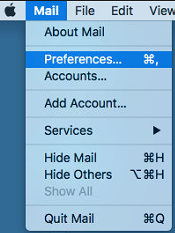 Please adjust your e-mail settings using the instructions below. 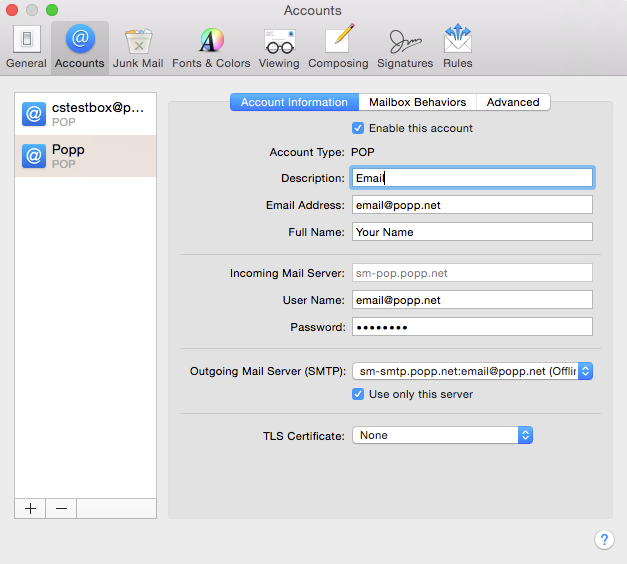 NOTE: If you are converting your e-mail from another provider, do not delete your current e-mail account until all of your e-mails have been saved to your computer from your current provider’s server and you have verified that e-mail is routing through POPP. 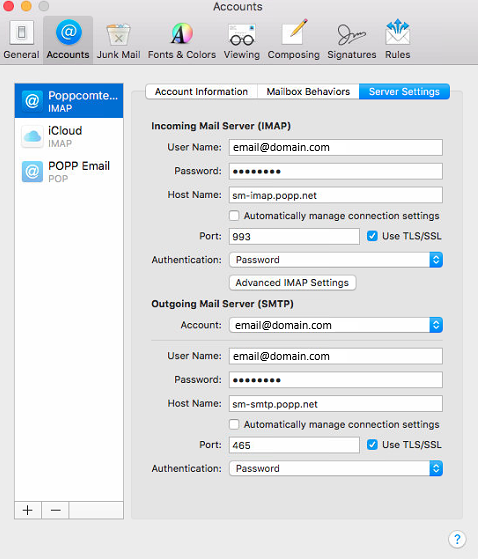 POP vs. IMAP - What's the Difference? 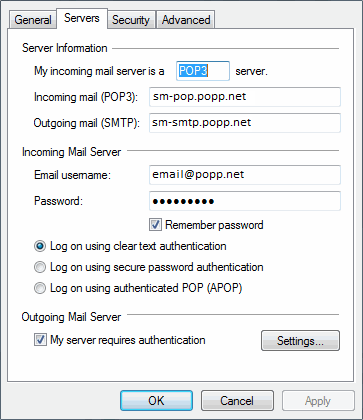 Post Office Protocol, or POP, downloads all messages from the POPP email server to your e-mail client, which then saves them to a local folder on your computer. 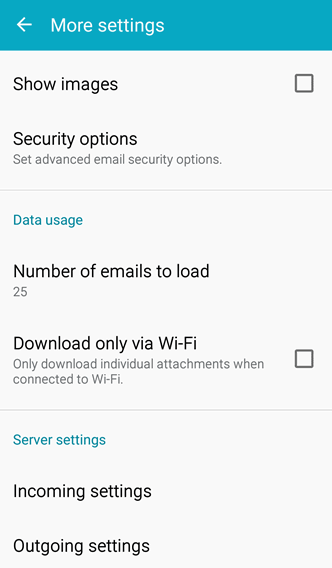 The messages are then usually removed from the e-mail server unless otherwise specified in the email client settings (i.e., remove messages from server after two weeks). 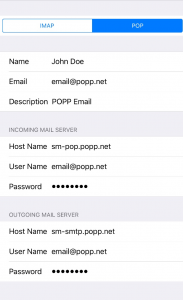 The benefit to using POP is that your email account storage capacity is kept in check since messages are frequently downloaded and removed from the server. 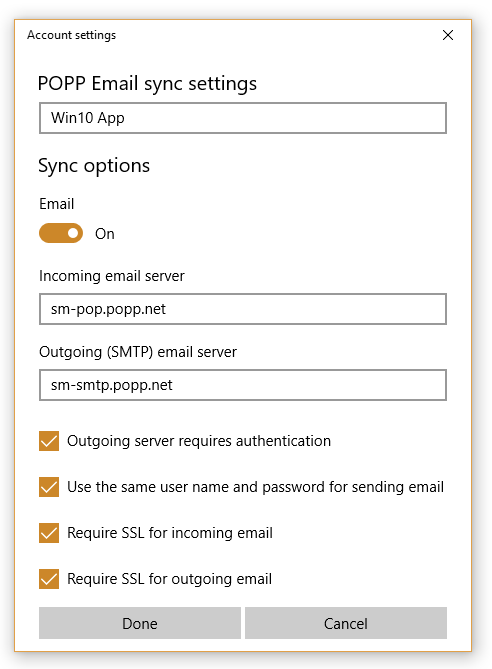 However, if using POP across multiple devices, e-mails will not synchronize between subfolders. 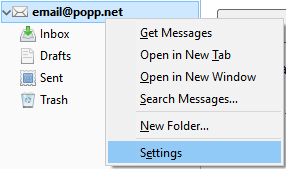 For example, if you send an e-mail from your mobile device, it will not appear in your sent items on your desktop computer. Messages from your inbox will still download to the respective client. 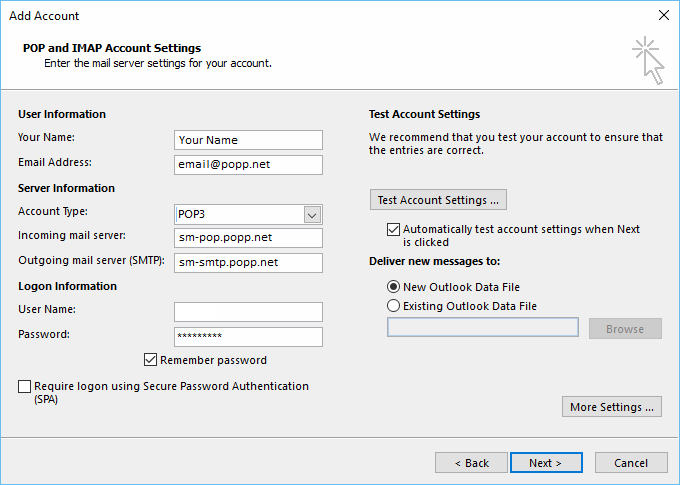 Internet Message Access Protocol, or IMAP, works differently because even though e-mail messages are downloaded and stored locally on your computer, they also remain on the e-mail server until you permanently delete them. 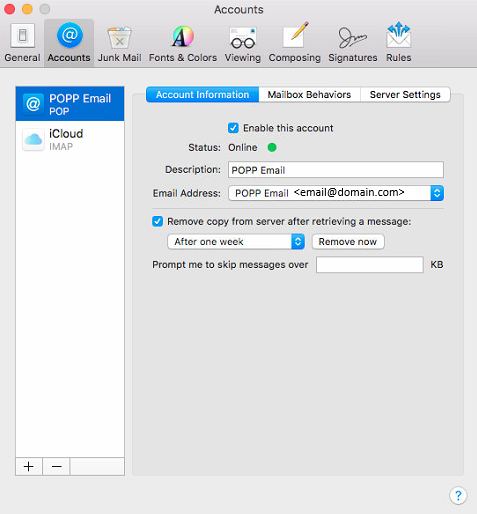 The benefit to using IMAP is the ability to sync your e-mail messages and subfolders across all devices. 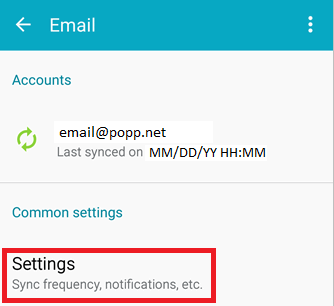 However, you will need to monitor your POPP mailbox size or purchase increased storage if you run out of space. For additional assistance with e-mail settings, call 763-797-7900. 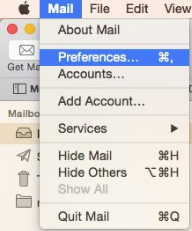 Select Test Account Settings… near the top-right corner. If the account does not sync, please contact us. After the successful test, select Next near the bottom-right corner, then select Finish. Select Close for any additional open windows. After the successful test, select Next near the bottom-right corner, then select Finish. Close any additional open windows. *Please note that Microsoft has announced that Windows Essentials Suite reached end of support on January 10, 2017. Windows Live Mail is no longer available for download. Re-open Thunderbird. There is now a Deleted Items folder, and a Trash subfolder. 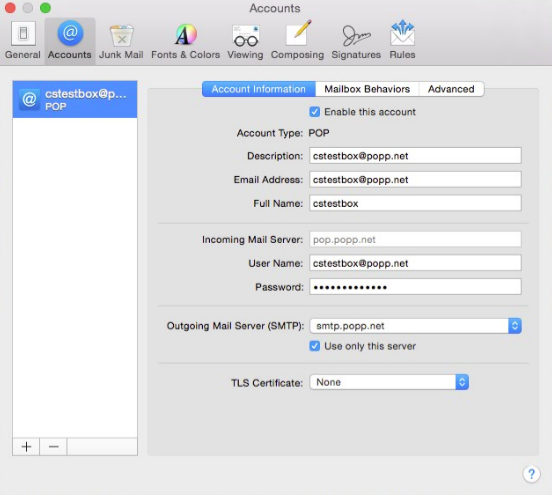 The latest Mac Mail version will allow you to overwrite your existing e-mail server settings. 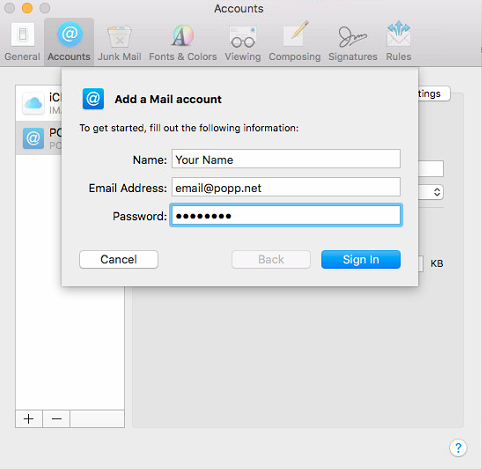 However, due to a known issue with the Mail app on Mac devices, if the account is not deleted and recreated, the updated server settings will revert to their previous settings. Therefore, the following steps detail how to delete and recreate the account with the proper settings. 3. With the existing account highlighted, de-select the Enable this account checkbox within the Account Information menu. The account should move to the bottom of the accounts list. 4. 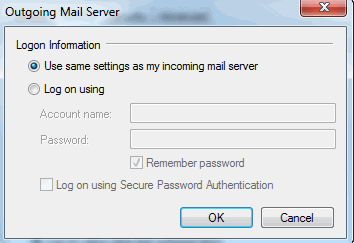 Select Server Settings and review the existing Incoming Email Server information. 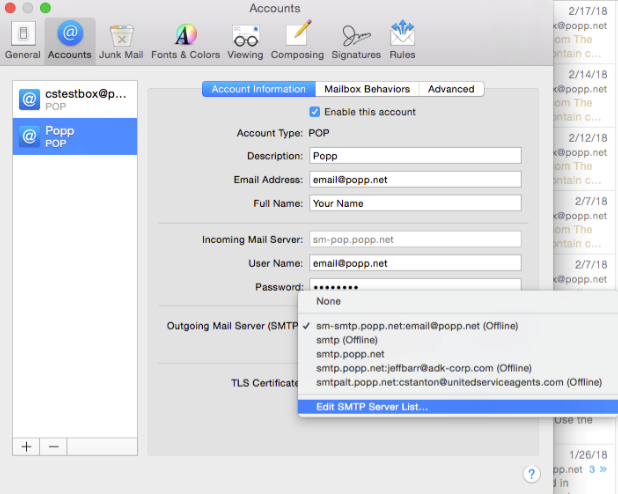 As in the example below, POP or IMAP will be listed in parenthesis. Take note of which protocol is currently in use. 7. Enter name, email address and password. Select Sign In. 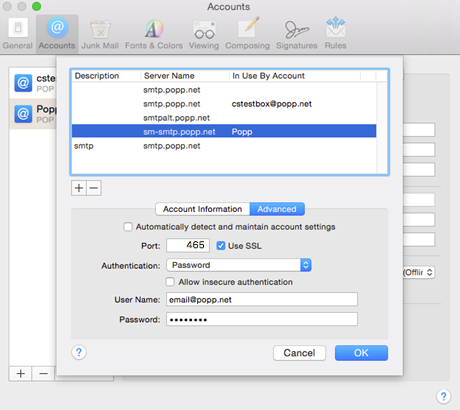 Disregard the message Unable to verify account name or password – select Sign In. 9. 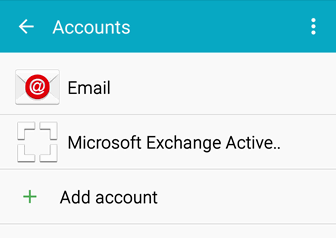 The new email account will now appear in the account list. 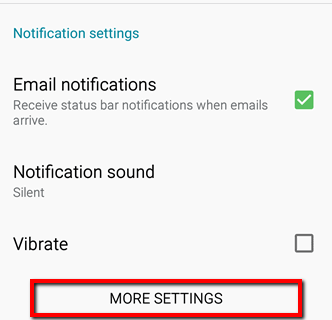 Select the new account, then select Server Settings. Mail will automatically enable MD5-Challenge Response – this will function, but may slow e-mail synchronization/delivery. Select Save. 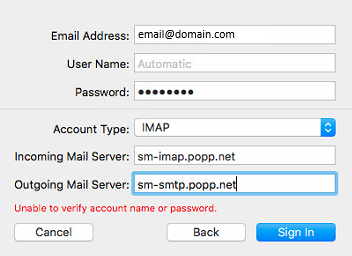 Mail will verify the settings. 11. 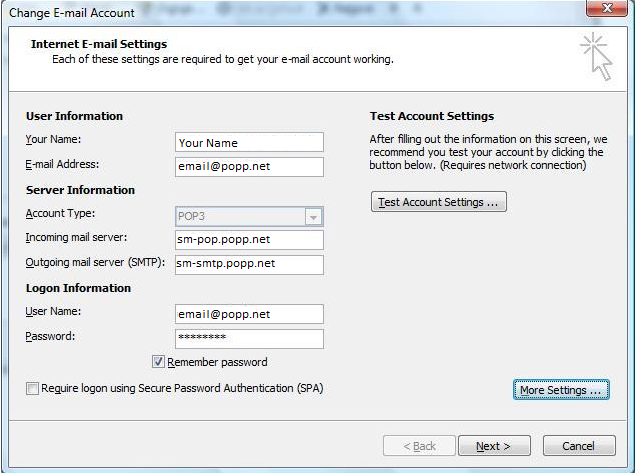 Close out of the window and send a test email to confirm emails can successfully be sent. 12. The email account setup is complete and ready to use. 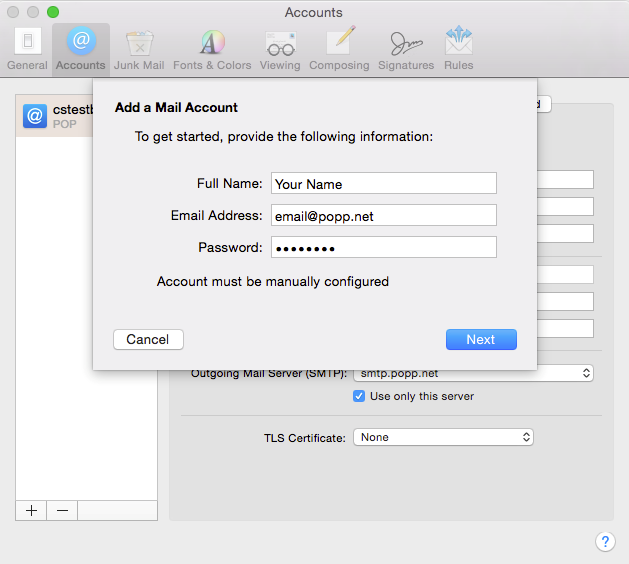 Mac Mail does not allow the existing incoming mail server to be modified, therefore a new email account will have to be created. With the existing account highlighted, de-select the Enable this account checkbox within the Account Information section. The account should move to the bottom of the accounts list. 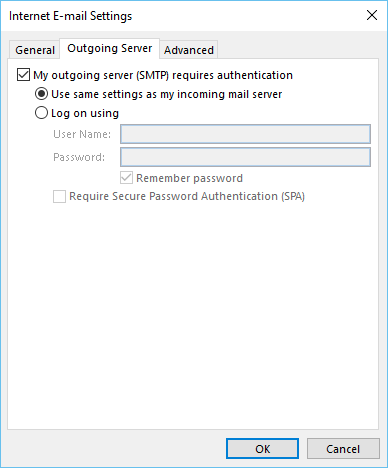 Select Server Settings and review the existing Incoming Email Server information. 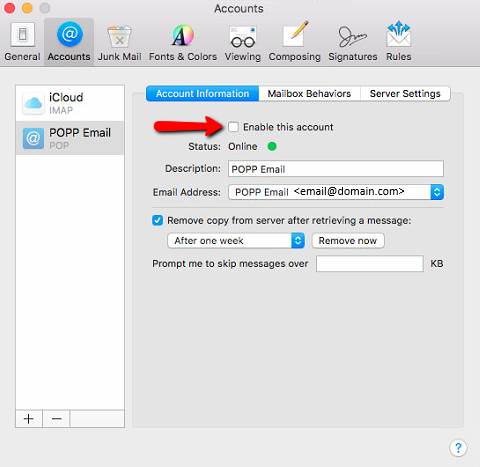 As in the example below, POP or IMAP will be listed in parenthesis. Take note of which protocol is currently in use. 7. 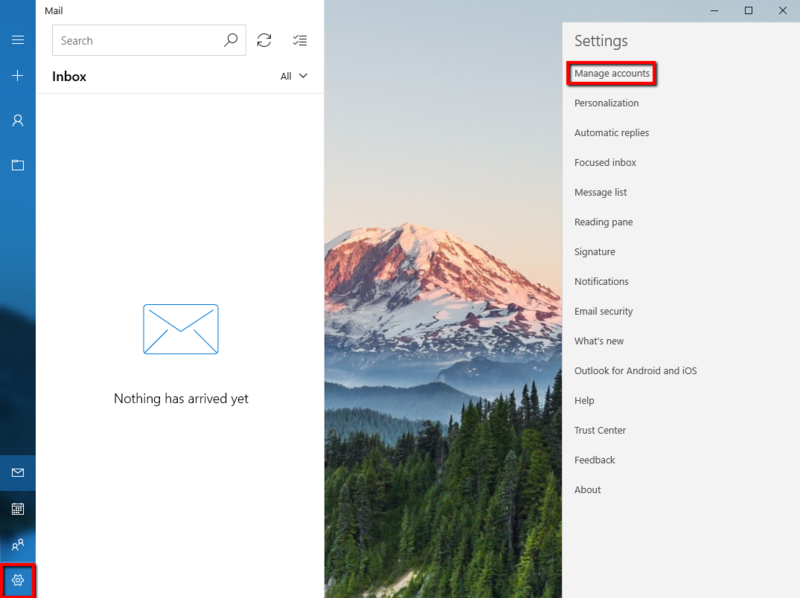 The new email account will now appear in the left-hand side of the screen. The account on the iPhone/iPad must first be removed, then recreated with the appropriate settings. 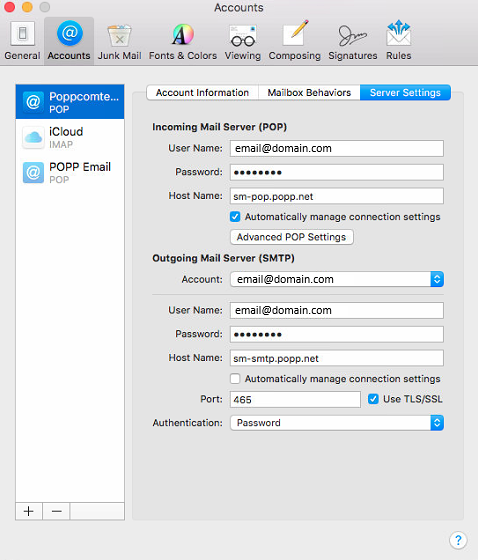 NOTE: Using POP will conserve email storage space if emails with large attachments are frequently sent/received. 12. The account is now visible in Settings > Accounts & Passwords. Select the account, then select the account again to review its properties. 15. Upon completion, select Done again. The account will complete the setup.